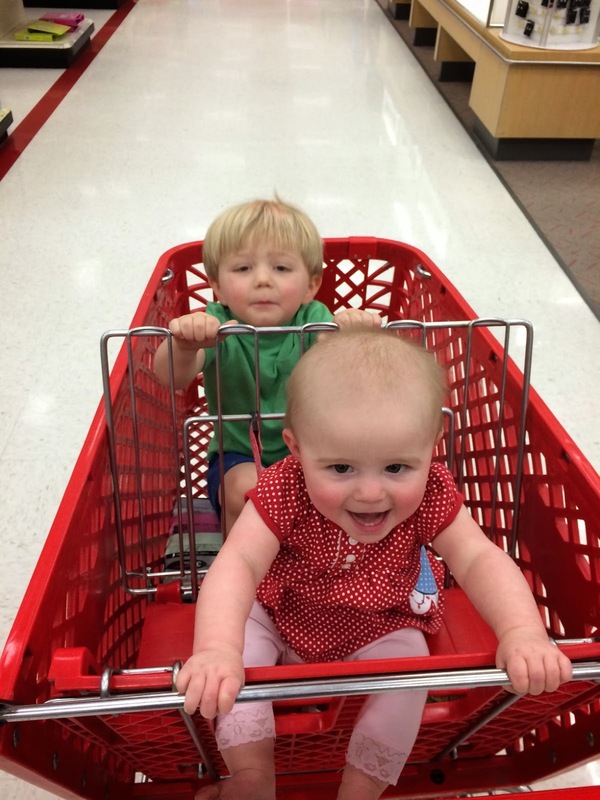 Saturday shopping about to begin at Target somewhere in Colorado - and it looks like it is eagerly anticipated by two cute little kids! Mr. Cool (Henry) and Miss Congeniality (Lauren) are the cart riders. Go faster, Mom and Dad! !